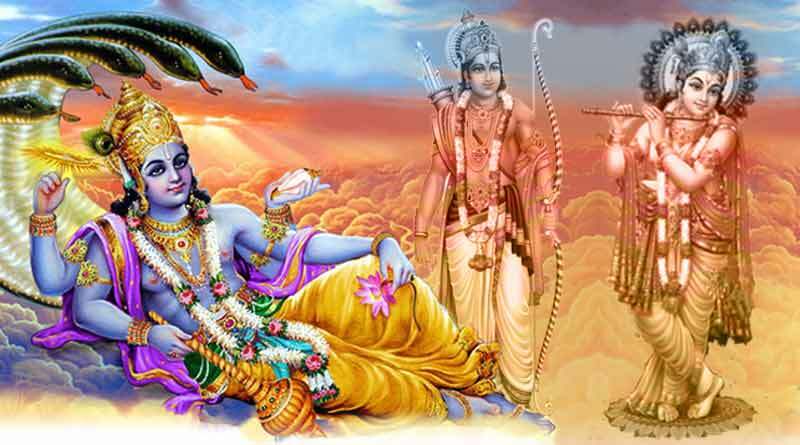 Rama and Krishna avatars of Lord Vishnu are the seventh and eight avatars of Vishnu. 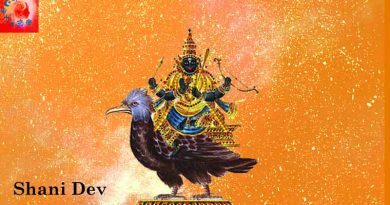 According to Hindu Mythology, Lord Brahma is known as the creator, Lord Vishnu- the preserver, Lord Mahesh- the destroyer, and together they created the world. It is believed that whenever humanity faces any evil, Vishnu incarnates as different avatars to restore righteousness. Dashavatara represents ten avatars of Vishnu. Each Vishnu Avatar was in a different form and for a specific purpose. Lord Rama is the seventh avatar of Vishnu and is considered as one of the supreme gods in Hinduism. It is believed that Vishnu had to take Rama avatar to kill Ravana. Ravana had got a boon from Lord Brahma that no God, Dev, Rakshas, Snakes, Gandharv, Yaksha will be able to kill him. Hence Vishnu had to take the avatar of Rama to kill him. Rama is believed to have been born to fulfill curses of Sage Brighu, Vrindha and Sage Narada to face the pain of separation from wife. As per Hindu epic “Ramayana”, it is believed that Lord Rama was the king of Ayodhya, city where Rama was born. Rama’s father was Dasharatha and his mother was Kaushalya. Rama was a very powerful king and married to goddess Sita. As per the belief, Ravana (demon king of Lanka) kidnapped Goddess Sita in the absence of Rama. So, Lord Rama killed him. Lord Hanuman is said to be the greatest devotee of Lord Rama. Krishna avatar is one of the most powerful avatars and is the eighth avatar of Lord Vishnu. Krishna was the eighth child of Vasudeva and Devaki. He was born to kill his uncle Kamsa or Kansa, a cruel demon who killed many kings and prisoned many innocent people. Lord Krishna killed Kansa and freed the world from evil. Krishna stood with Pandavas (characters of Hindu epic, Mahabharata) and rescued them throughout their lives. According to the legend, the famous Bhagavad Gita was told by Krishna to Arjuna (main character of the Indian epic Mahabharata and one among Pandavas) at Kurukshetra, the battlefield of Mahabharata. Krishna is depicted in a variety of forms as there are many different stories about him. In many paintings, you will see Krishna with blue skin wearing peacock feathers on the head. Spreading the message of love, Krishna is not only worshipped by the Hindus but people of different religions across the world. For more articles like ‘Rama & Krishna avatar of Lord Vishnu’, do follow us on Facebook, Twitter, and Instagram.